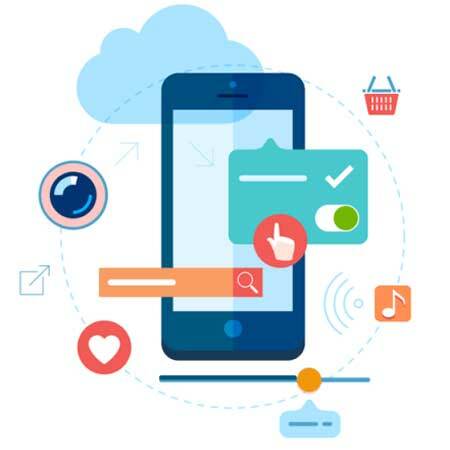 Inditech Middle East has the professional capabilities to create a customized mobile app, or a create a mobile complement website, for iOS and Android devices. Using a responsive web design technique, we can offer our customers an app that will display their web site content uniformly and correctly on a wide range of devices, platforms and screen sizes. We also offer Native mobile apps that have superb connectivity and can work right along with the special features of your phone, like the camera, GPS, or the microphone. This will make a mobile phone even easier to use and give it some very intuitive abilities. Native mobile apps are not limited to downloading the program from the Net, but can be sold directly to the users. Whether you pursue to build emotional connection, a “quiet” design or a “wow effect” user interface, Inditech Middle East got experts with the skills required to create the exceptional mobile experience you are looking for. The application designs we create incorporate scalability and interoperability considerations from the outset, leaving room for the never ceasing technological advancements to augment value of your app at any point in the future. We deliver across all the popular mobile platforms and mobile-enabled technologies along with assisting companies with their mobile app delivery strategies to assure most optimal coverage of all target audiences. Every project demands its own set of security and compliance considerations, and some are exceptionally demanding. At Inditech Middle East, we address enhanced or industry-specific security requirements and business continuity standards from project’s day one. To swiftly accommodate changes in consumer demands, Inditech Middle East continuous value delivery practices for rapid functionality delivery and accelerated product launch while securing first-class solution quality and performance A versatile portfolio of web-based and mobile technology projects enables Inditech Middle East to take a holistic approach to our Customers’ application landscapes. We undertake large-scale projects employing mobile, web technologies, helping businesses benefit from better focus on integrated and streamlined technology ecosystem set-up. In case you need an app that is successful enough to stand out among the myriad tedious apps, then contact us today to start a conversation that will ensure your apps success.